3. Photos must be original, and the exclusive rights to use that photo must be owned by the entrant. 4. Entrants may encourage friends, acquaintances and followers to vote. 5. Anyone with a unique email address may vote. 6. The contest will run from April 13, 2019 to May 15, 2019. The winner will be notified after May 15 and prize money will be forwarded by bank or Paypal transfer. 7. The entry with the most votes will receive the Grand Prize. The photo that wins the Grand Prize thereby becomes the property of MuzicTrain, and may be used in any MuzicTrain publication, any number of times. 8. 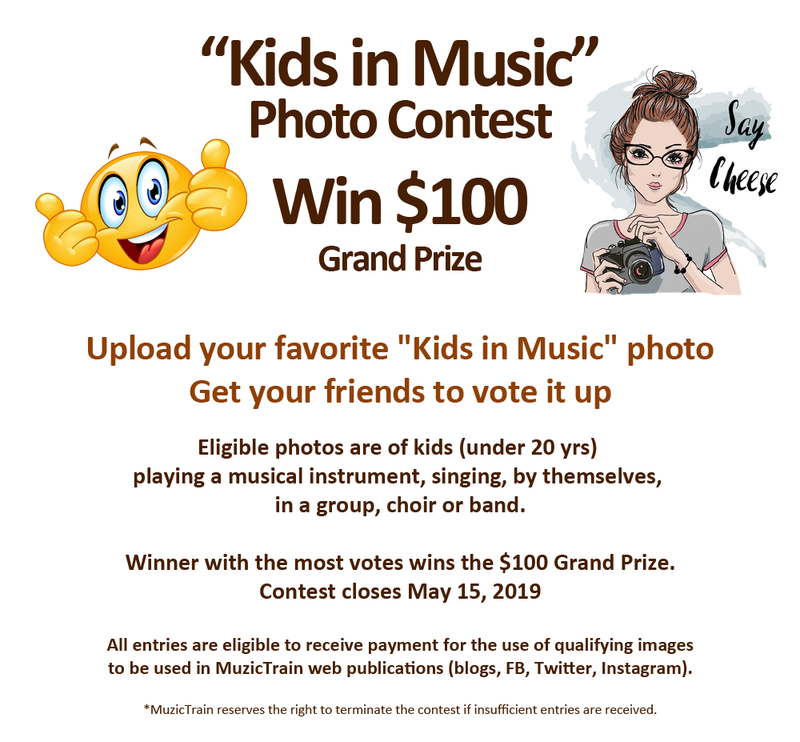 Other entrants may be offered an amount for the exclusive rights to use specific images in other MuzicTrain web publications.